Portsmouth Football Club’s 2-0 victory over Spurs on 11th April 2010 won them a place in that year’s FA cup final against Chelsea. This was a real boost for the city as Pompey fans already knew their team was facing probable relegation. In late April Portsmouth City Council (PCC) promised the city a free, live screening of the cup match on Southsea Common. The game was to be held on Saturday 15th May 2010 leaving only a three week deadline to complete the entire planning process. Right from the beginning the Vespasian team assisted PCC with all aspects of the event from site layout and fencing types to capacities and emergency plans. Working closely with officials from PCC, Police and local ambulance service, Vespasian delivered advice on industry best practice, crowd management tactics and planning methods. Vespasian’s Managing Director, Oliver Gardiner, assisted PCC officials almost on a daily basis throughout the planning stages, through the event itself and into the post-event wash-up meetings. On the day of the match Vespasian deployed over 120 staff to the screening on Southsea Common. The team included Crowd Managers, Supervisors, Response Teams, Gate Search Teams, Crowd Safety Stewards and Radio Control Operators. Our staff were excellently cared for by our logistics team which was located on site throughout the two day build and break along with the event itself. The event plan called for a 15,000 capacity fenced area in front of the screen which was to be kept as an alcohol free zone. The plan was to allow those attendees who wished to drink alcohol to watch the screen from outside the fenced area. This created the need for Vespasian to secure and manage the fenced site as well as monitor and liaise with Police regarding the open area outside the compound. Throughout the event day Vespasian management requested updates from the city wide CCTV network regarding migrations of people toward the event site. Using a direct radio link to the Police Gold Command centre located several miles away, Vespasian were able to plan accurately for peaks in ingress rates along with redeployment of staff from the gates to other areas of the site. The unique event make-up posed challenges during the day but the Vespasian team passed all tests with flying colours. 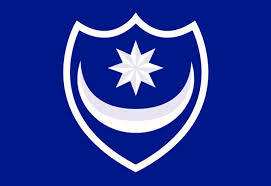 Pompey lost to Chelsea 1-0 but team Vespasian and Portsmouth City Council came out on top.